Cost Effective Fire Risk Assessments in London? Fire Risk Assessment London Is Your #1 London Fire Risk Assessment Company Servicing all of Greater London. ​If you need a residential or commercial Fire Risk Assessment done in the London area then Fire Risk Assessment London is the solution for you we cover the entire London and Greater London with regards to Fire Risk Assessments. ​We can carry out a Fire Survey & Reports of a new or existing property to determine for you what fire safety measures are required. Fire Risk Assessment in London Is Necessary. Remember If You need to have a fire risk assessment in London and if you are the owner of a property or building, and if your business has 5 or more people in it. A fire risk assessment is required by the law and a written document needs to be kept on the premises. If you are looking for a local London FRA company to carry out the fire risk assessment, look no further than Fire Risk Assessment London UK. The company has been in the business for over 10 years. A fire risk assessment is required so that everyone is kept safe in the event of a fire. In London a fire risk assessment was enquired about by a client, wanting to know the processes and procedures. When a qualified person carries out the assessment, he has to identify the hazards that are existent on the premises, identify the people who are at risk, evaluate the areas and find ways to reduce those risks if possible, prepare an emergency plan and provide training to the people working on the premises. It is important that they know what to do in the event a fire breaks out. Fire Risk Assessment London UK provides comprehensive training too. We are a BSI registered ISO9001 accredited company. You can be sure that you will receive the best training from our instructors. For more details on hiring a qualified Fire risk assessor for a fire risk assessment in London, do not hesitate to call us on 02080880271 . We will ensure that everything has been assessed and reduce potential risks. We will also ensure that the staff members know exactly what to do in the event of a fire. They are of the best in the area and training matters because it makes people familiar with the situation and reduces panic. Remember that you will need to keep the fire assessment records up to date. If you want more information about a fire risk assessment for your company, or residential property contact us Today 15% discount on all Fire Risk Assessments. We offer the full range of fire safety services to take the stress and responsibility away from you. Fire Risk Assessments are our speciality and will be carried out by one of our experienced and qualified Assessors and documented in a comprehensive written report with recommendations in the form of “Significant findings” and an "Action plan". 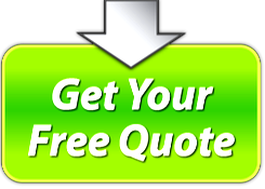 For further enquiries or if you have a project you want us to look into please contact us for a Free Consultation 02080880271 ​​​​ we are fully confident we will Beat any Price you are quoted.